Stan Lee fans rejoiced earlier this year with the announcement of the legendary comic book creator’s first series under the Stan Lee Comic brand. According to USA Today, the six-issue series will star seven new superheroes and feature cameos of Stan Lee himself. 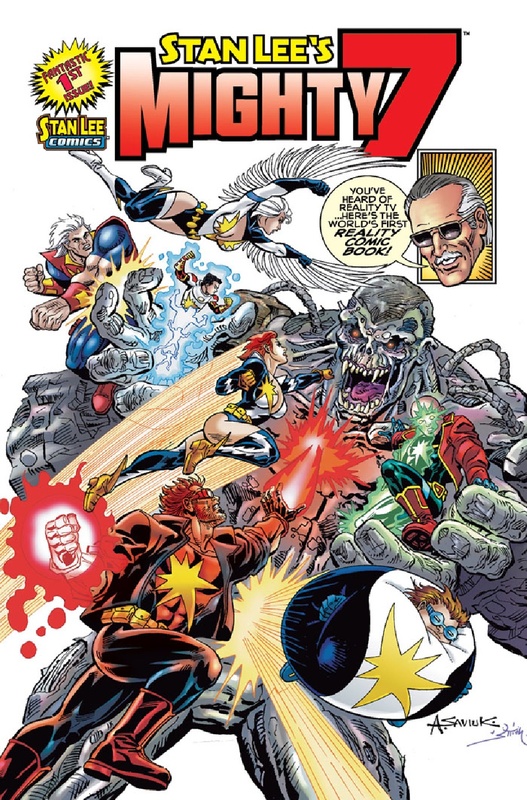 Stan Lee's Mighty 7 debuted its first bimonthly issue in March in comic book shops and online. Among several announcements made earlier this week at Comikaze, A2 Entertainment, along with Stan Lee’s POW Entertainment, introduced plans to turn the Mighty 7 into a feature film. The film is set to be released next year on the family-oriented The Hub network. In addition to the feature film, it was also announced that Hot Topic stores, a leader in pop culture accessories, will be the exclusive retailer for a clothing line set to feature the Mighty 7 characters called SLAM7. The Mighty 7 clearly is an exciting project for Stan Lee as he continues to revolutionize the comic book industry. The comic book great relayed to USA Today, "I would have never thought years ago that I would be in a comic book or I would be in a cameo in a movie. I love it. I guess I'm kind of a ham." The series includes all new characters which consists mostly of aliens! Two marshals transport the group of aliens through the universe and inevitably crash land on earth. Add a Stan Lee cameo into the mix and sci-fi fantasy meets reality. To check out digital versions of Mighty 7, visit archiecomics.com.